A congested area like Las Vegas, Nevada sees its share of car accidents, and many of us fail to consider that how we drive on the road can affect our chances of being involved in one. There are several common causes of car accidents in Nevada, and our own behavior is often a contributing factor. Thankfully, most drivers on the road in Las Vegas follow traffic laws and do not act recklessly, but not all. When drivers are negligent, accidents do happen. If you or someone you know has been hurt in a Las Vegas car accident, it is important to speak with an experienced personal injury attorney right away. Driver fatigue: Long work hours, extended trips, or just busy day-to-day lives can cause anyone to get behind on their sleep. Lack of sleep causes slowed reaction time, lane drifting, delayed braking and even cognitive issues. Road rage: An all-too-common problem in larger, congested cities, road rage often makes a person a dangerous and inconsiderate driver. Rage often results in bad behaviors such as tailgating, engaging in verbal threats, speeding, and slamming on the brakes - all a recipe for a collision. 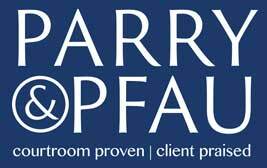 At Parry & Pfau, we understand how devastating and life-changing a car accident can be. Our attorneys have years of experience fighting for the rights of clients across the state of Nevada, and will do the same for you. Newer PostIs it Legal for Employers to Ask for My Salary History?